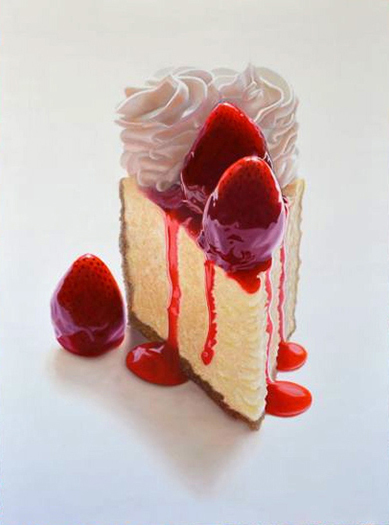 My love for great food art keeps growing, my latest one to discover is Mary Ellen Johnson and her beautiful photorealistic cakes, take a look at some good stuff. 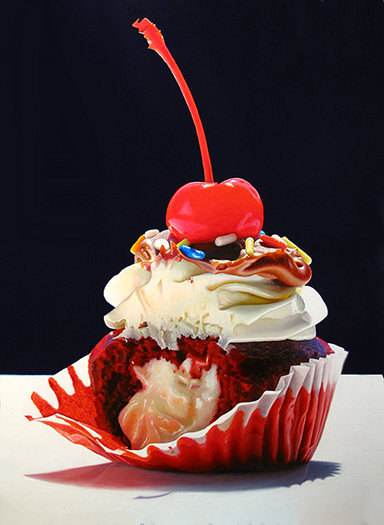 Photorealistic cakes is almost torture to look at because you more or less wants to eat everything you see. 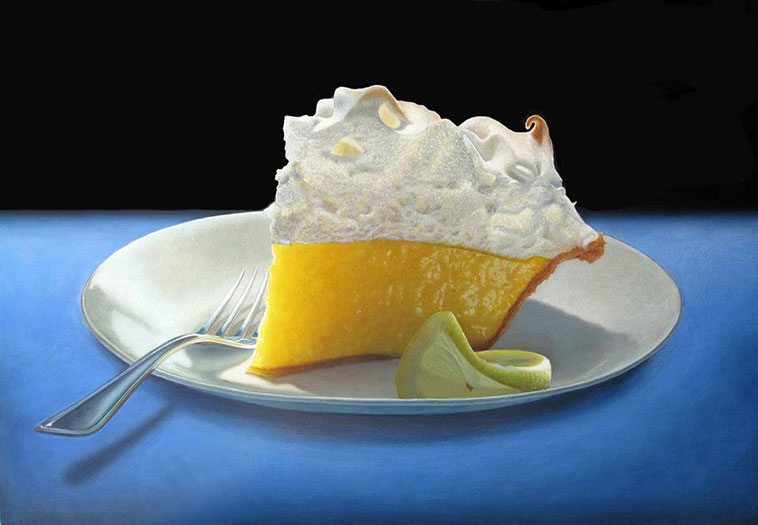 The paintings by artist Mary Ellen Johnson all look like something you want to sink your teeth into as soon as possible. Mary Ellen Johnson is an American artist born in 1967 and is a graduate from the Ringling School of Art & Design. Since 2009 she has been getting more and more acclaim for her work and have had exhibitions all over the US. I’ve selected just a small portion of her work to display here, for more of her work and information visit her website here. 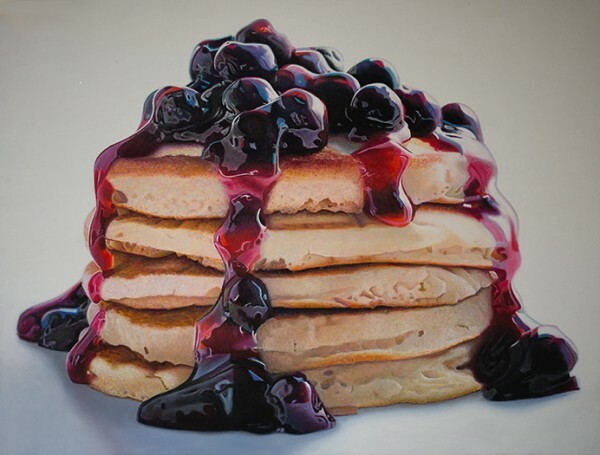 So let’s start out with this great stack of pancakes with blueberry jam. I know, this is not a cake but just look at it, can you judge me on this one? Painted in oil in 2015. Another beautiful one, now it’s ice cream on the menu. Love the side light and how you really can see the structure of the ice cream and the cone. Painted in oil in 2010. 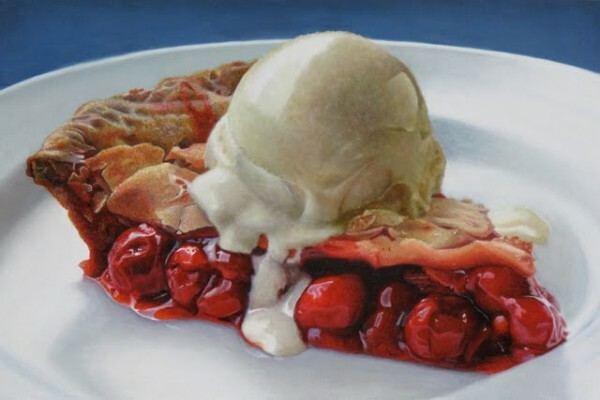 Cherry pie with vanilla ice cream. Oil painting, 2010. Now if this isn’t photorealistic cakes I don’t know what is. 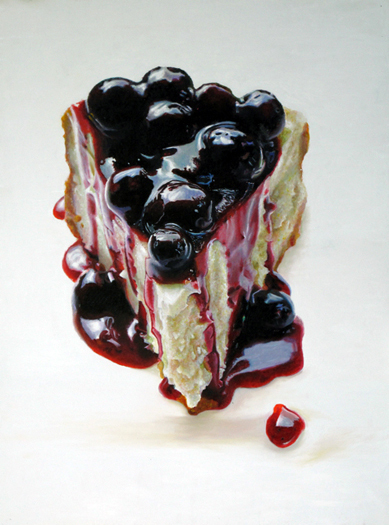 Cheesecake with blueberries, oil 2010. 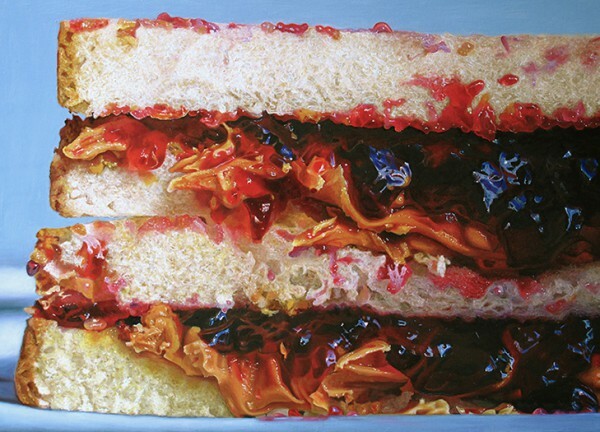 Peanut Butter Jelly. Oil, 2012. Filled cupcake with a cherry on top. 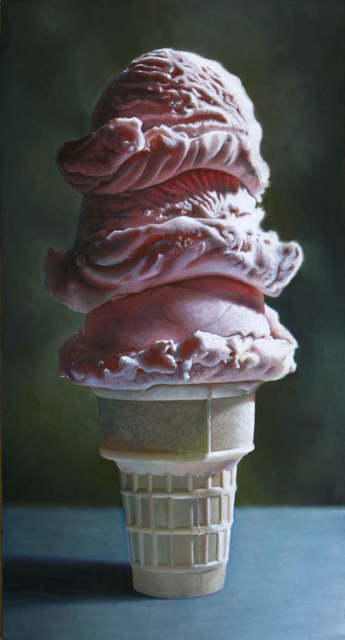 Oil, 2012. Strawberry cheesecake with cream. Oil, 2014.